Looking to go on a trip this upcoming Memorial Day weekend? Forget going to the beach, g o grab your buddies and hop on a flight to the state of Washington for a weekend of remote festivities at Sasquatch! Festival. This year’s stellar lineup boasts LCD Soundsystem, who are releasing a new album any day now, as well as local (and now global) favorite Chance the Rapper and Twenty One Pilots. Further down the lineup is Chicago native Joey Purp, whose “iiiDrops” mixtape was among 2016’s best releases. Not too interested in just music for three straight days? Don’t worry, Sasquatch! has you covered with their comedy lineup, which includes SNL alum and Portlandia creator Fred Armisen and current SNL cast member Sasheer Zamata. In a New York state of mind ? 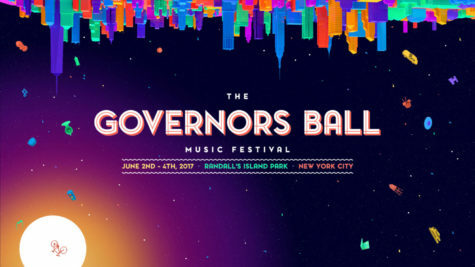 Then Governors Ball, taking place on Randall’s Island,from June 2-4, is the festival for you. Perhaps one of the strongest lineups of the entire festival season, Governors Ball is headlined over three days by Chance the Rapper, Lorde, Flume, Phoenix, Childish Gambino, Wu-Tang Clan, Tool, Cage the Elephant, and Wiz Khalifa, among others. Not only strong in terms of headliners, the festival will be host to performances by Charlie XCX, Schoolboy Q, Danny Brown, Tove Lo, Kehlani, Francis and the Lights, Rae Sremmurd, YG, A$AP Ferg, Car Seat Headrest, Stormzy, The Head and the Heart, Skepta, The Avalanches, and Zane Lowe. Alongside the music stages, Governors Ball also features a silent disco, mini golf course, life sized board games, and a curated gourmet dining experience. A staple of the festival season, Tennessee’s Bonnaroo Festival has set the standard s ince its first year in 2002 of what a music festival should be. From June 8-11, U2, the Red Hot Chili Peppers, and The Weeknd will headline. D.R.A.M., Louis the Child, BADBADNOTGOOD, Travis Scott, and Noname playing daystages, Bonnaroo is sure to live up to expectations. Beyond the music, Great Stage Park, the 700-acre farm on which the festival is held, houses artisan markets where a makeshift economy has been developed, selling and trading homemade, one of a kind goods found exclusively at Bonnaroo. Also found at the classic festival is a silent disco, film tent, and a Ferris Wheel. The music festival th at needs no introduction in the halls of Deerfield High School, Lollapalooza is the most coveted festival of Chicago. Hosted in Grant Park, the summertime staple will be hosting its traditional medley of hip hop, EDM, classic and punk rock. Headlined by Lorde, whose new album Melodrama will come out in June and is sure to make waves, Cage the Elephant, Run The Jewels, Big Sean, and Chicago native Chance the Rapper, this year looks to maintain the festival’s tradition of a well rounded, mainstream lineup. Outside of basic headliners, this year’s rendition of Lolla includes: Kaytranada, San Holo, 21 Savage, Milky Chance, and Duckwrth. The close-to-home seasonal classic Summerfest will be hosting its legendary concert series over the course of eleven days, with headliners at the American Family Insurance Amphitheatre in Milwaukee, Wisconsin, and dozens of other acts across a wide range of ground stage locations like Henry Maier Festival Park, BMO Harris Pavilion, Miller ™ Lite Oasis stage and dozens of others. Living up to its mantra of “The World’s Largest Music Festival” with over 170 acts, anyone and everyone is guaranteed to find their corner of music heaven. With artists like Red Hot Chilli Peppers, Luke Bryan, The Chainsmokers, Future, Migos, Bob Dylan, and P!nk, with secondary acts like AWOLNATION, BJ the Chicago Kid, Ziggy Marley, and Saba, it seems almost impossible not to find the music genre you’re looking for. Didn’t want to give $40 0 to your sleazy friend for a mediocre lineup, but still want to go to a Chicago music festival? Pitchfork Music Festival, July 14-16, in Union Park is the perfect music festival for you. For $175 for three days, you can see headliners like Danny Brown and hits from his latest album Atrocity Exhibition, A Tribe Called Quest, whose 2016 album “We Got It From Here… Thank You 4 Your Service” lit up the hip hop world, and Pitchfork’s “Best New Album” winner Solange for her debut album, “A Seat at the Table”, will light up the stage. Outside of these artists who lit up 2016-2017, the music festival will include interview legend Vince Staples, Francis and the Lights, Isaiah Rashad, and Joey Purp. The Pitchfork Media™ festival represents all genres, from indie rock to hip hop to jazz to experimental, anyone is sure to find their niche. Other than being an awesome three day concert, Pitchfork™ and CHIRP Radio host a records fair for all you record junkies out there.